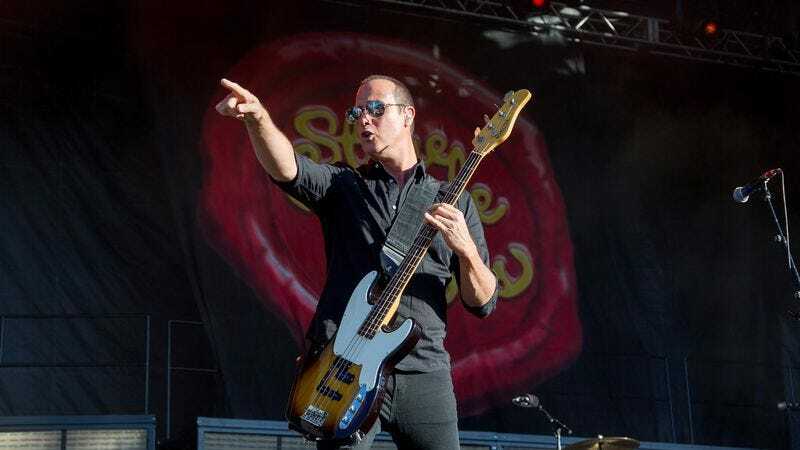 Three months after parting ways with Linkin Park frontman Chester Bennington—and just two since the death of original singer Scott Weiland—the members of Stone Temple Pilots have announced that they’re in the market for a new lead vocalist. Rather than looking around the rapidly dwindling pool of successful, established rock singers, though, the band has decided to throw the selection process open to the wider musical world by announcing an open call for submissions. Working with Indaba Music, the band has put together an area on its web site where amateur performers can record and upload audio files of themselves singing along to backing tracks from “Interstate Love Song,” “Trippin On A Hole In A Paper Heart,” and “Vasoline,” in order to secure a chance to “negotiate in good faith to be the lead vocalist of Stone Temple Pilots.” There will also apparently be a Facebook poll to determine fan favorites, although ultimate judging for the contest lies at the discretion of band members Dean DeLeo, Robert DeLeo, and Eric Kretz. Kretz and the DeLeos also released a video and a statement announcing the contest, praising both Bennington and Weiland and emphasizing that the contest is about moving forward, not “replacing” the late singer. You can read the full statement below.